Ms. Bohen practiced with two well-known and established family law firms before opening her own practice. 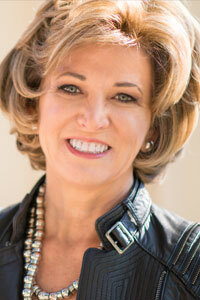 She has negotiated substantial settlements and has tried family law matters, both in Los Angeles and Orange Counties. Ms. Bohen has over 30 years of litigation experience. She is a Phi Beta Kappa graduate of the University of California, Irvine. After graduating with honors from Hastings College of the Law where she served on the Editorial Board of The Hastings Law Journal, Ms. Bohen clerked for the Honorable Rudi M. Brewster, United States District Court Judge for the Southern District of California. Ms. Bohen honed her litigation skills in the Litigation Department of Musick, Peeler & Garrett LLP. While at Musick, Peeler, Ms. Bohen’s practice involved the defense of legal malpractice actions involving business litigation, conflicts of interest, probate, employment and family law matters; the defense of professional liability insurance carriers in coverage disputes and bad faith actions; and the defense of general business litigation matters. She tried both jury and bench trials and argued matters on appeal. Ms. Bohen was a Partner at Musick, Peeler & Garrett and served as the Professional Liability Defense Practice Group Leader. Ms. Bohen is AV rated by Martindale-Hubbell. She was named a Southern California Super Lawyer in 2005 through 2016 and one of the Top 50 Women Laywers in Southern California in 2007, 2008, 2013, 2014, and 2015. For the last 17 years, Ms. Bohen has been an Instructor for the National Institute of Trial Advocacy and has served as the Team Leader for the Deposition Course given at both Loyola Law School and Chapman Law School. She is a volunteer mediator for the Los Angeles Superior Court Family Law Settlement Program. Ms. Bohen is a Fellow of the American Academy of Matrimonial Lawyers and is a member of the California Association of Certified Family Law Specialists, the Los Angeles County Bar, Family Law Section and the Beverly Hills Bar, Family Law Section. She has also served on the Board of Directors of both Levitt & Quinn and the Harriett Buhai Center for Family Law, two nonprofit organizations dedicated to the representation of low income families in family law disputes and has volunteered at the Los Angeles Free Clinic, Family Law Program.